This corner of paradise is perfect for pleasant, quick light lunches and snacks… on the lakefront. 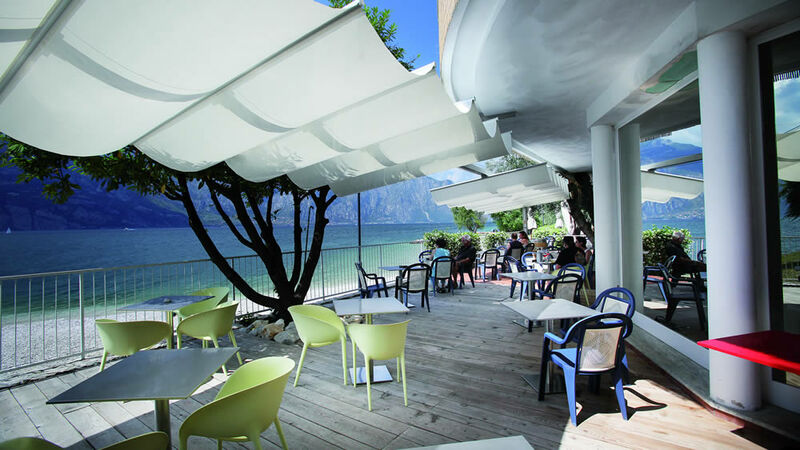 But also for informal aperitifs, in great style, with just the special effects of a unique location, overlooking the most beautiful beach in Malcesine. In summer you can enjoy first courses, our delicious quiches, mega salads and sandwiches made to order. A short daily break before heading back to your sport, the beach and your favourite activities. 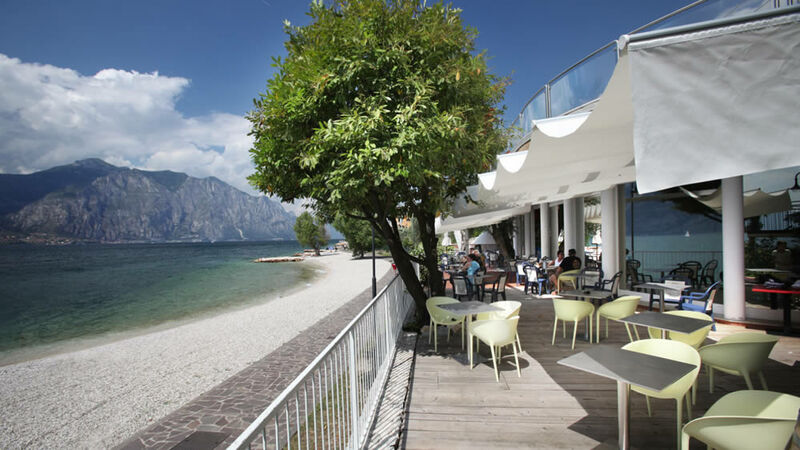 Open every day from mid May to the end of September from 11.00 am to 11.30 pm, our beach bar will become your home from home, with amazing sunsets over the lake.